Download Docker for Windows (edge or stable branch, doesn’t seem to matter). Boot up and Docker will fail to start with MobyLinuxVM failed to realize. The hint is the text “<No file>” in the window above, for my scenario fix anyway. Further investigation reveals the vhd is actually not there, nor is the VM present in Hyper-V manager. Looking further, something is amiss. 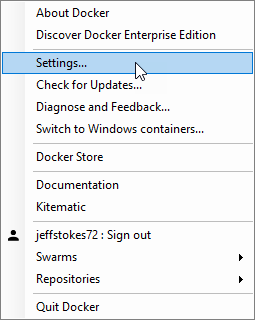 Right-click the Docker icon in your system tray, select Settings. Select Advanced and validate your path for “Images and volumes VHD location”. Note the path. Does it exist? For me, no. It’s an old setting from a previous installation of Hyper-V on this system. The path is invalid as I removed Hyper-V to a dedicated host and deleted the directories post migration. Uninstall Docker (rerun the installer you downloaded, select Remove). Right click your host name in Hyper-V Manager and select “Hyper-V Settings”. Browse your “Virtual Hard Disks” and “Virtual Machines” paths and set to valid directories, Save/Ok/Apply/etc. Reinstall Docker from the downloaded installer. 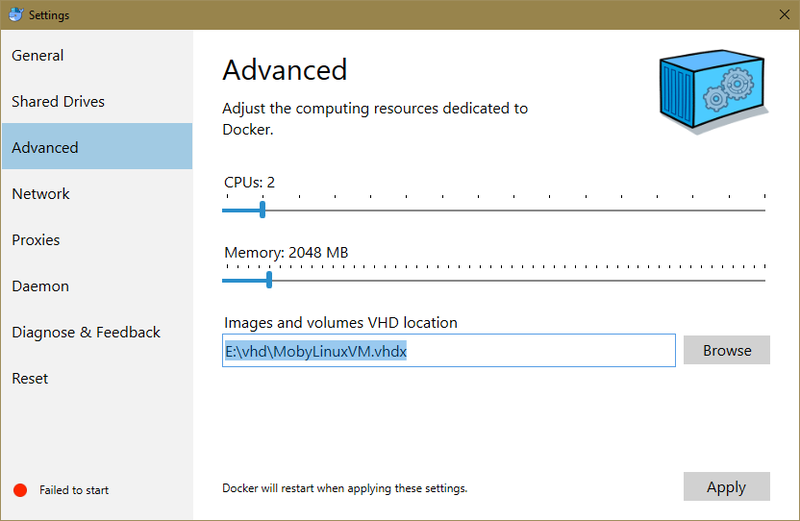 Now that the Hyper-V path for VM/disks is valid, Docker can place the MobyLinuxVM disk and create the Virtual Machine in Hyper-V and start it. yay. 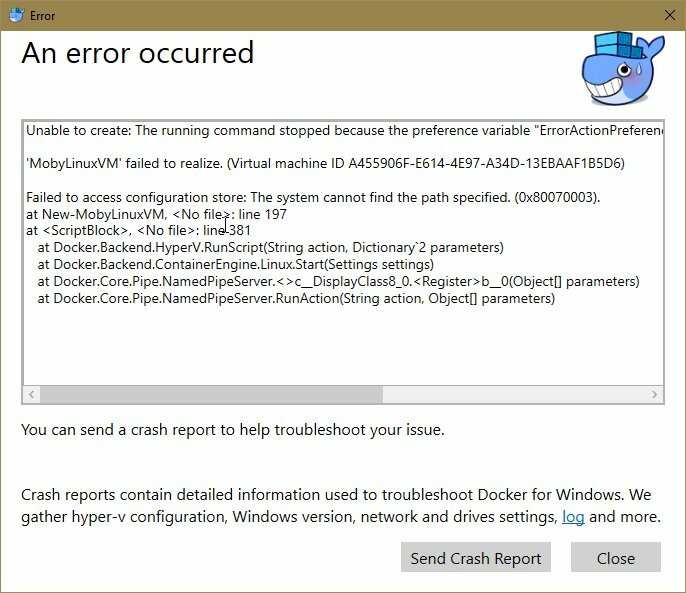 Suggestion: Pre-flight installer for Docker for Windows might want to check that the paths are valid for the creation of the vhd file/VM. 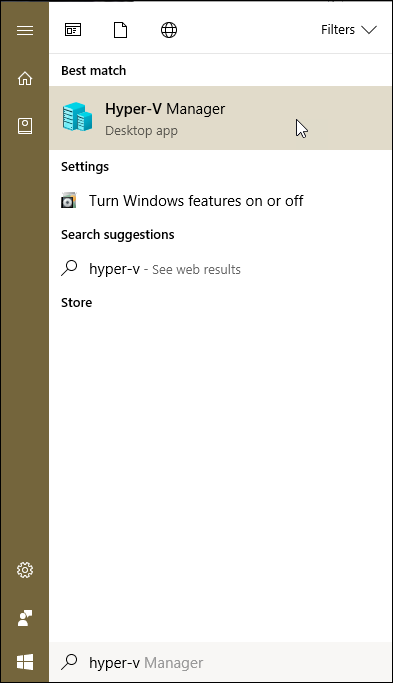 Further suggestion: When you run Hyper-V for a bit, then remove the feature from Windows. MAYBE, just maybe, Windows should remove the damn settings so when you re-enable Hyper-V it starts off fresh, instead of with stale info. Further further suggestion: Live long and prosper. 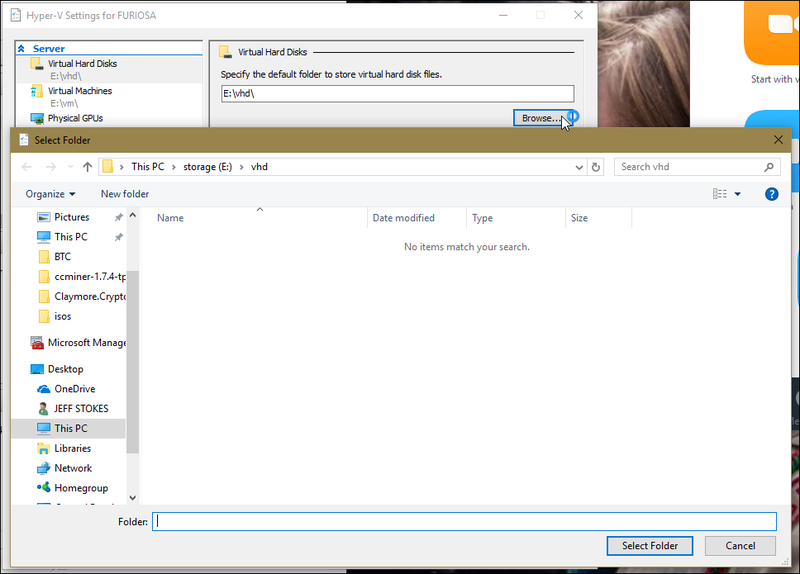 This is the bug I filed, looks like they might fix it (should be a hyper-v fix too honestly, maybe I’ll feedback that too).